That said, I’m very pleased to have had the opportunity to reflect upon The World Is A Ball reissue, which I called the “lost” Muffins album for going out of print soon after its 1986 release. (Sadly, This Is The Ice Age is now the most difficult album to hear without shelling out shekels for a used copy.) When I began writing about the Canadian band in 2011, I uncritically accepted its reputation as the out-of-fashion “80s sounding” album. After sitting with it for a spell, I think it still practically screams “80s music” in terms of its sound, although the remaster mercifully tames the original top-heavy mix. But perhaps surprisingly, The World Is A Ball is quite amenable to non-nostalgic listeners who have absorbed the sounds of the 80s in today’s pop, electronic, dance, and indie rock music. In 2017, the album is prime for poptimist revision. If you’re intrigued by the Martha and the Muffins story, let me point you to two other essays I wrote. “Living the Urban Crisis at the New Wave Rent Party” places the Muffins in the context of other mixed-gender North American bands who were pushing the new wave envelope in the late 70s and early 80s. 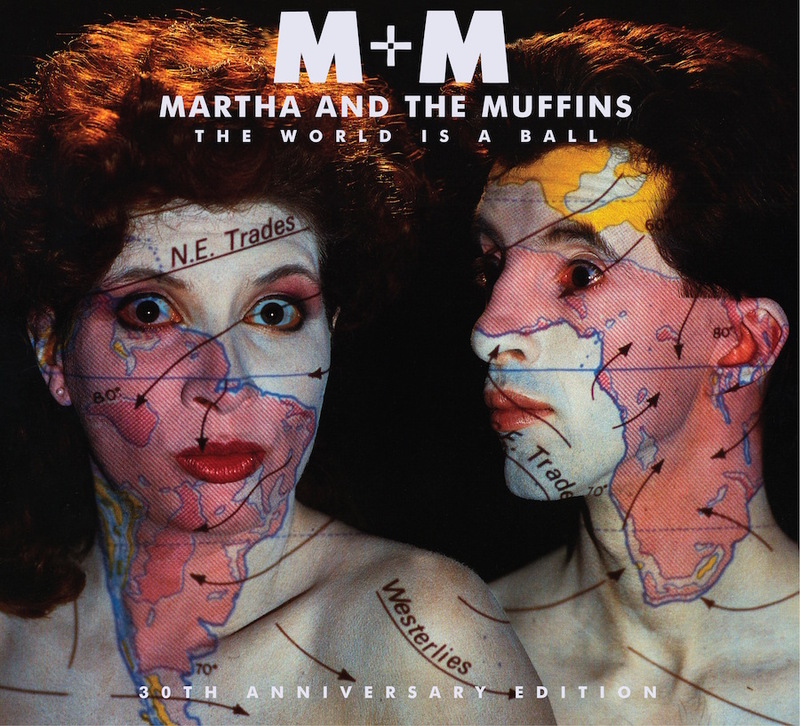 “A Place That is Lost: The Geographical Visions of Martha and the Muffins” covers the band’s career and reviews their albums in their entire arc, with the slight treatment of The World Is A Ball now remedied by today’s Sound It Out essay. You can see more of my research on Martha and the Muffins and learn about the book I’m writing about the band by searching the Toronto tag on this blog.